This past Saturday night saw the jaws of Doctor Who fans across the world unanimously hit the floor as the latest episode aired. 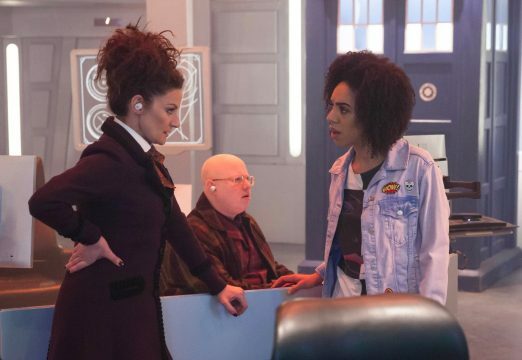 “World Enough and Time” was always going to be a special one, as it was the lead in to the big finale of the Peter Capaldi era – with both Capaldi and current showrunner Steven Moffat leaving after this year’s annual Christmas special. But with two Masters, some old Cybermen and a possible emotional exit for current companion Bill, it was even more special than expected. In contrast to the rest of the season, which has mostly been standalone and self-contained, this episode was stuffed with connections to the wider mythology and hints at exciting things to come which left us thirsty for more. There was the reveal of the true origins of one of the show’s longest-lasting monsters. There was the return of John Simm’s Master for the first time since 2010. And we might just have seen the Doctor regenerate three episodes sooner than expected. “World Enough and Time” gave us a lot to keep our brains whirring over, then, until the finale – the ominously titled “The Doctor Falls'”- arrives this Saturday. But what are the most burning questions we want answered in the season’s final episode? Read on to find out.